Emma, and their peculiar friends are with him, and doing their best to blend in. a discovery—a subterranean bunker that belonged to Jacob’s grandfather, Abe. 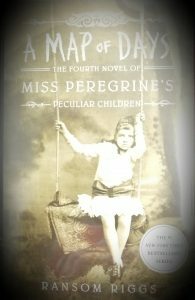 await in this brilliant next chapter for Miss Peregrine’s peculiar children.